You must be a member of the Malta Professional Networking Group to attend this activity. Would you like to join this group? Hope the new Protected content has started well for you! Here is our first networking event this year. 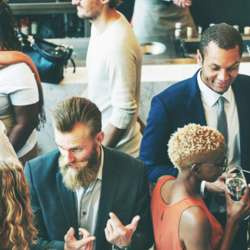 Are you growing your network and enjoying meeting new people? A dynamic event to expand your professional network and to grow your business. An opportunity to mix and mingle allowing you to make as many business contacts as possible in this beautiful Asian style place.. Mix and Mingle! Make your network bigger and your business more successful. NB. Remember that every attendee is important. If you can't make it, cancel your attendance as soon as plans changed. Please respect the commitments of the organizers and the managers of the venue.